Joe Newberry is a Missouri native and North Carolina transplant who has played music most of his life. His powerful and innovative banjo playing, as well as his songwriting, guitar skills, fiddling, and singing has delighted audiences around the world. Joe's songwriting is characterized by the same clean, elegant style as his banjo playing, and his songs are often recorded by artists in the folk and bluegrass world. The Gibson Brothers' version of his song "Singing As We Rise," featuring guest vocalist Ricky Skaggs, won the 2012 IBMA "Gospel Recorded Performance" award. In 2013, Joe shared co-writing honors with Eric Gibson for the IBMA Song of the Year, "They Called It Music." 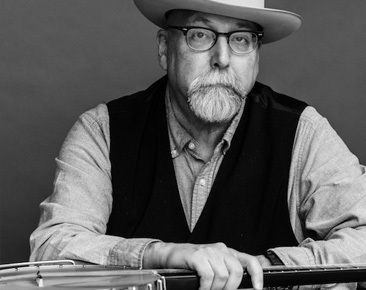 Joe was a frequent guest on Garrison Keillor's A Prairie Home Companion, and was recently featured on the Transatlantic Sessions tour in the United Kingdom with fiddler Aly Bain and Dobro master Jerry Douglas. In addition to performing solo, Joe plays in a duo with mandolin icon Mike Compton, and also performs with the dynamic fiddler and step-dancer April Verch.